Lunch was a crushingly sad affair today. 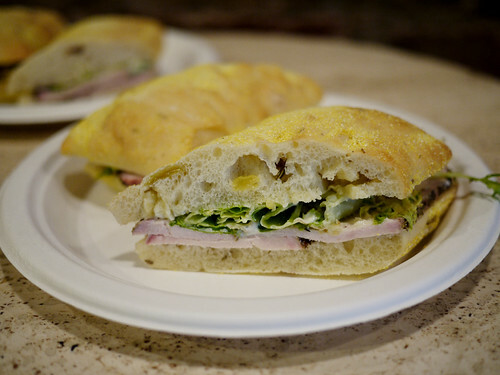 Once Upon a Tart changed the bread of our favored roast pork loin sandwich from baguette to ciabatta! Hélas mes amis, it changed everything. The ciabatta was way too soft and sweet, completely overwhelming the pork and rosemary aioli. Maybe if it had been toasted or a slightly denser bread, maybe it would be ok. Maybe. Until then, we remain your heartbroken lunch ladies.